Posted October 25, 2017 • filed under News. 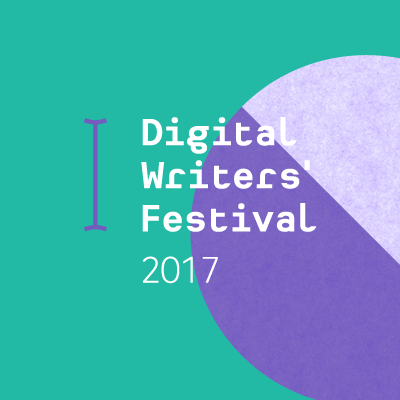 Digital Writers Festival 2017 is finally here, and it’s bringing a host of live-streamed events, panels, and workshops to everyone with an internet connection. Creative Producer, and Queenslander, Samantha Glennie has rounded up her ten must-see events taking place throughout the festival. Zine Fair’s are special places where you get to really dig into the creative practice of a maker you might never have run into otherwise, and DWF is proud to host the very first digital iteration of such an experience! The Digital Zine Fair showcases zine excerpts from a wide and eclectic range of makers, paired with an interview, so you can scroll through, find your next favourite zinester and get inspired. This event was so popular at the Emerging Writers’ Festival, earlier this year, that we had to bring it back for DWF17. An intimate and special performance, six writers invite us into their homes to hear their origin stories, and the path they took to get to where they are now. It promises to be a moving experience, sharing stories of home through music and poetry. The event has some incredible artists involved – Soreti Kadir, Panya Banjoko, Yeo Choong, Simona Castricum, Pola Fanous and Ziggy Ramo will be sharing performances. It really promises to be one of the most moving events of the festival. Excitingly, DWF17 marks the first year that the festival has organised a handful of physical events that audiences can attend in the flesh, as well as stream online! We’ve got events running in Perth, Brisbane and Melbourne and Sydney, but one that I am particularly looking forward to is QUT Literary Salon. The salon will showcase student readers in a variety of different forms: poetry, fiction, and memoir. It’s a free event and will be coming to you live from The Menagerie in Brisbane! It is sure to be a fantastic event whether you show up in person, or join us on the live-stream. The Digital Writers’ Festival isn’t just a festival that is online, it’s also a festival that is really interested in how digital technologies are shaping the future of storytelling. 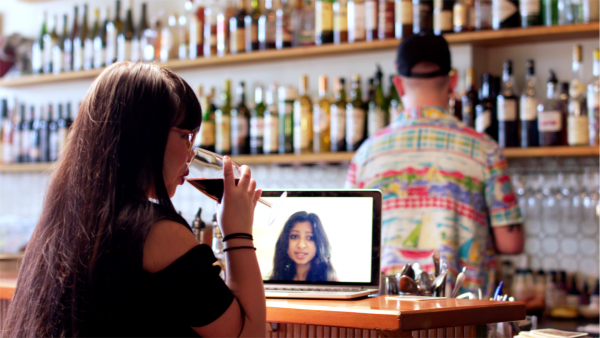 Web series’ are one of the spaces where this innovation is happening, and they have become a space where independent artists can explore their ideas and push boundaries. This event presents a discussion with three award-winning web series creators, Hayley Adams, Mat Blackwell and Julie Kalceff, as they discuss the challenges and rewards of writing web series. The internet can also be a tool through which we can carve out space for communities, and our panel discussion Get YA Words Out spotlights Queer writing in YA fiction. The panel will explore how online platforms develop and support Queer writers in the young adult literary community; as well as discussing how best to cultivate authentic and well rounded Queer characters within YA. A different event that also tackles with carving out space online, Decolonising Online Spaces treats online spaces as a place of community. This is an exploration of how the internet can be a site of decolonisation, resistance and activism through the perspective of First Nations writers. Nayuka Gorrie, Evelyn Araluen, and the indigenous art collective Fresh and Fruity discuss what it’s like to carve out your own space in the digital realm, and how the internet can foster creativity, collaboration and connection for Indigenous artists in this eye-opening panel. Is social media a sentimental exercise or a social experiment? Is it possible to portray an unfiltered version of ourselves? This chat between digital natives Madison Griffiths and Lucinda Price promises to deconstruct the place social media has in our lives. It is a personal must-see for anyone who owns a social media account. Truly a #nofilter discussion on cultivating an online identity for women and sufferers of a myriad of mental illnesses. Ever dreamed about creating your own online space? Linh Nyugen and Leah Jing McIntosh, the creators of Liminal Magazine, discuss how to build your own digital platform, find your niche and maintain an audience! This is truly a must-see for any creative looking to branch out into the digital realm. Fanfiction is becoming more and more prevalent in the mainstream, with authors like Marissa Meyer and Cassandra Clare getting their start on the platform. Check out this panel to see Nalini Haynes, C.B. Mako and Ella Donald discuss how interactive narratives in spaces like fanfiction are becoming a space for minorities to represent themselves in their favourite works of fiction, and how it is beginning to influence the canon as well. Manifest will be the festival’s send-off, and an important keynote on how to grapple with the endless opportunities that the internet presents. This event aims to leave you wondering, ‘what if?’, charing six writers with the exploration of six alternate futures where the possible has become actual. There are some fantastic writers involved – Winnie Dunn, Jesse Oliver, Piriye Altraide, Rebecca Jessen, Ben Walter and Zhi Yi Cham, and they will send off the festival on the hopeful note that the future isn’t written, and we have the power to change it. This is truly the only festival that you can attend entirely in your pajamas so join us at these events and more! DWF17 broadcasts to everyone, everywhere! You can find our full program on the website.